Tsutomu Ohshima was born in the Chinese province of Tsingtao, on August 6, 1930, and by the age of three, he had already entered the world of Japanese martial arts. 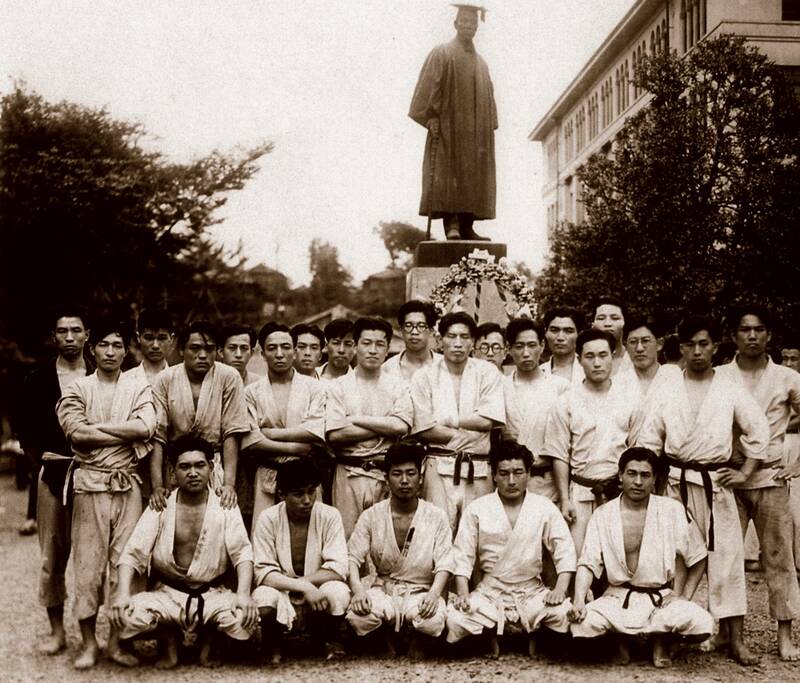 His father, Fusakichi, had a training area at their home where many Japanese martial artists visited. Practicing daily with his father’s strict encouragement, he pursued Sumo wrestling from the age of 3 years old for the next 10 years. Also, Tsutomu Ohshima trained in Kendo (Japanese sword fighting) at the same time from the age of 8 to 15 years old, including Kendo Special Training. 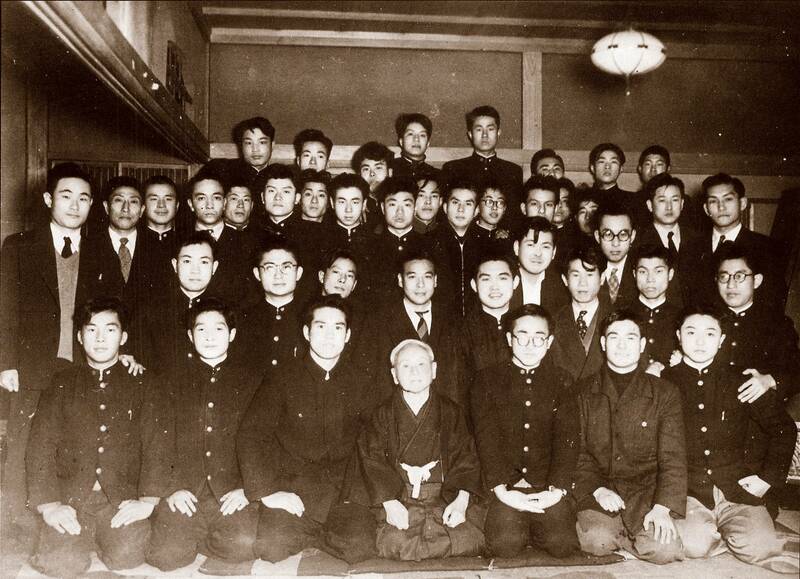 In addition, many Japanese Judo competitors visited their household and Mr. Ohshima soon became involved with Judo for 4 years. He holds certificates for attending 20 Kendo and Judo Special Trainings as a young boy. 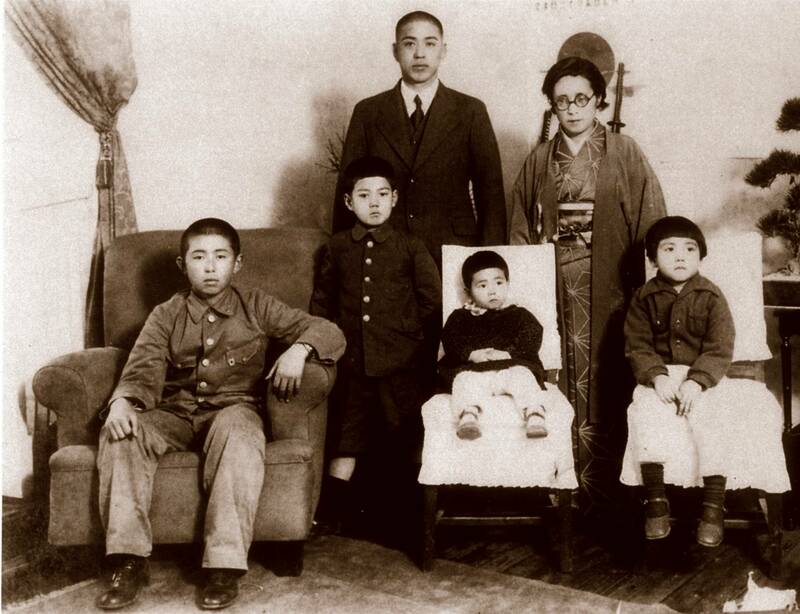 1940 Ohshima Family group photo taken New Year’s Day. Sitting in the front row LR is Haruo (oldest son), Tsutomu (standing), sisters Kimiko, and Keido. Standing in the back is Fusakichi (father) and Sato (mother). 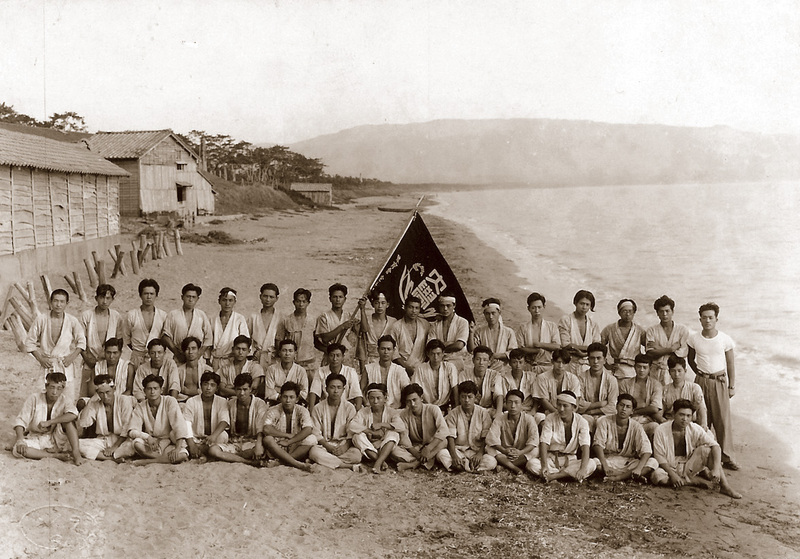 Sept. 2, 1948, bottom left is 17 year old Mr. Ohshima with his college friends on Sado Island. Mr. Ohshima’s 1948 Summer Special Training on Sado Island (back row, 3rd from left). He finished 10 Special Trainings as a White Belt. Waseda Captain, Hiroshi Kamata faces Vice-Captain, Matsuo Shibuya in the waters of Sado Island. (circa 1948). The practices at Waseda were hard and went on for hours. During practice, we never talked or never took a break. He would wake up at 4:00 am to go to work, then at 2:00 would attend the University full time as a student, and then, go to the dojo every evening without missing any practices. When he came home late at night, he would study until midnight. In one year of practice and 4 Special Trainings, Mr. Ohshima was awarded the rank of 6th Kyu. A couple of years later, Vice-Captain Mr. Kawabe recommended Tsutomu Ohshima for the Black Belt promotion for his hard training, spirit, and strong mentality. He was fortunate to have been strongly influenced by many high-level seniors such as Hiroshi Noguchi (1st Waseda Captain), Shigeru Egami, Toshio Kamata-Watanabe, Todao Okuyama, and Matsuo Shibuya. Mr. Ohshima has taken it upon himself to invite each one of these seniors as a guest of the SKA and enrich the experiences of its members. Mr. Kawabe, 40 years later, became the first donor for the Shotoland where the Ohshima Dojo sits today. 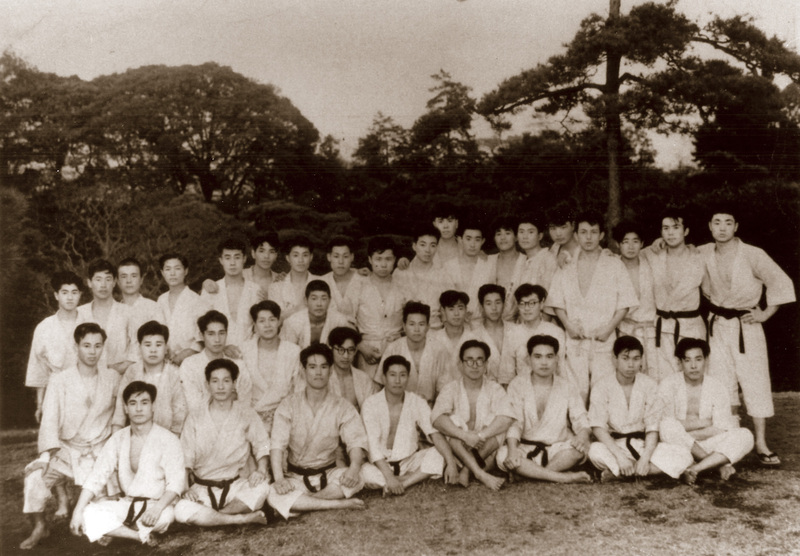 In 1952, Tsutomu Ohshima was appointed as the Captain of the Waseda University Karate Club. 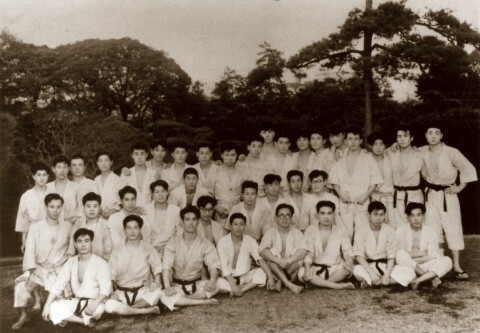 At the all-Japan Sandan promotion in the same year, Master Funakoshi personally awarded Mr. Ohshima his Sandan rank while honoring him with the highest score of any participant. 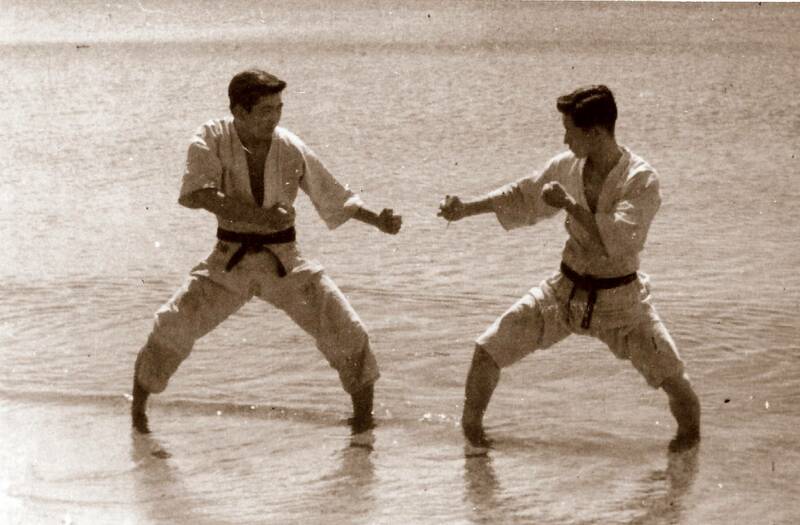 Mr. Ohshima’s early reputation for being strict, tough and unyielding followed the Japanese martial arts tradition. The other university clubs labeled him as the “Waseda Tank.” It was also, during 1952, that Mr. Ohshima created the 4 corner judging system still used in modern day tournaments around the world. 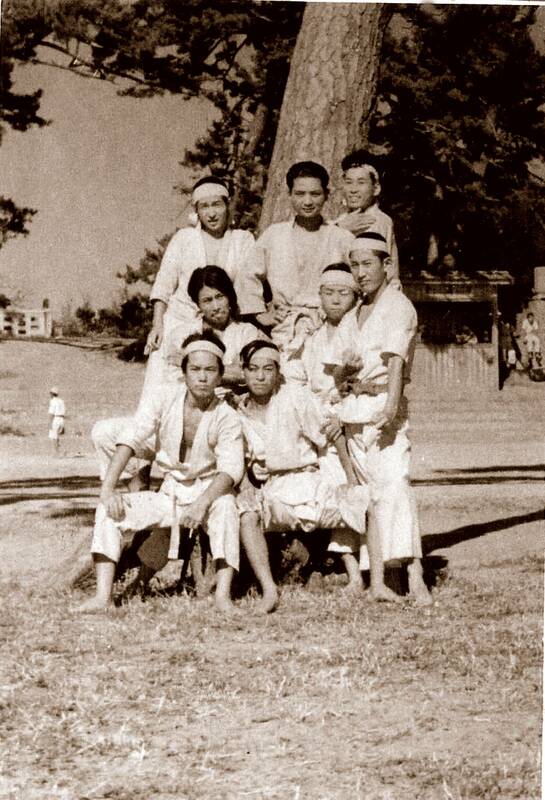 Waseda University Karate Club, 1953 with Captain Tsutomu Ohshima sitting on Master Funakoshi’s right.